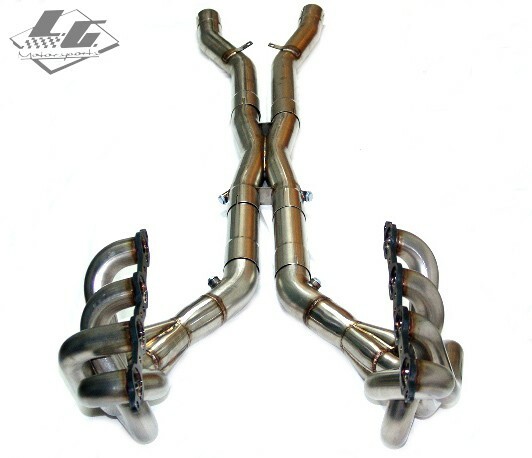 The latest technology in long tube header design from LG Motorsports is now available for your C6 ZR1! If you are looking for absolutely the best exhaust for your C6, the Super Pro headers are it. The Torque Monsters of the Corvette World - No Corvette Header Has More TORQUE or HORSEPOWER! All stainless steel mandrel bent construction using 304 stainless alloy. 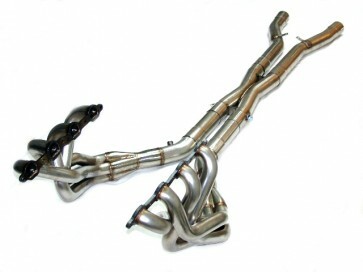 These headers are true long tubes at 32 inches long 1.75 inch primary tubes; perfect for mild to wild LS engines. Full 3-inch x-pipe included NEW! True race-style 3-inch merge collectors for better scavenging. 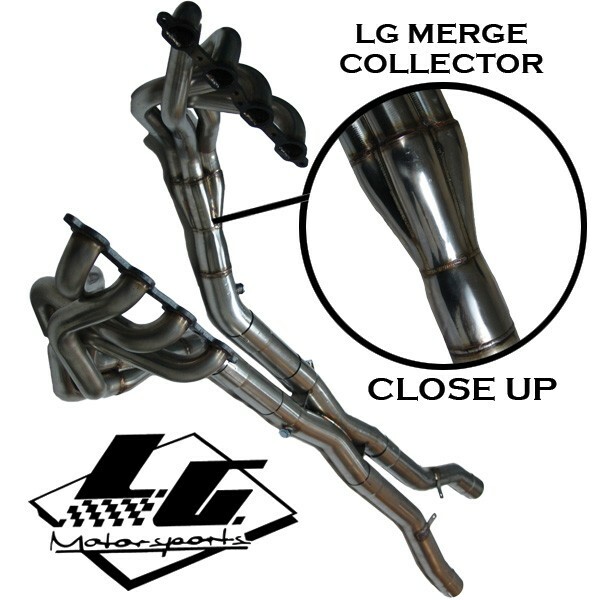 Available 3-inch premium high performance metal matrix catalytic converters (no converter flows more) Included "off road" pipes for track use. Race proven design makes more low end torque than any other brand, allowing you to have more of your engine's power on hand at low RPM while still producing fantastic peak horsepower. These headers have been tested on independent dynos by outside experts and show proven increased horsepower and torque over other top brands. Easy bolt on installation with NO CUTTING or WELDING! 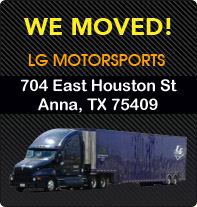 Great fit and finish with no ground clearance issues!